Models 500A, 500AA, 500AL, 500AL Mk2, 500E, 505SK, 505SK2, 520SK. Stylus Tip Type.. Spherical 0.7 mil super high polish. Made in Japan. DC Resistance.. 535 ohms nom. NUMARK - GROOVETOOL, TT1500, TT1550, TT1600, TT1600 MKII, TT1610, TT1650, TTUSB, TT1510, TT1625. SANYO - DCX22, DCX702, DCX891, DCX900, DCX901, DCX1000, DCX1050, DCXW17. Order information MINISTRY OF SOUND - CT01. Ortofon Pro S Stylus. Stylus Type Spherical. Ortofon OM3 ,OM5 CL10, CL20, CL30, CONCORDE, OM, TM A29, TM, STYLUS 5. 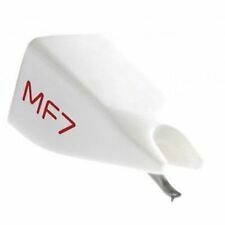 Also Suitable for Order information Diatone 3D-MM1, 3D-MM2. Akai LMB12, LMB5, RS41, RS5. Models 500A, 500AA, 500AL, 500AL Mk2, 500E, 505SK, 505SK2, 520SK. Industry Standard Spherical Design. Ortofon D (All Series), D3 Mk2, F (All Series), F15, F15 Mk2, FF (All Series), FF15, FF15 Mk2, N (All Series), N15, N15 Mk2, NF (All Series), NF15, NF15 Mk2, VMS3 Mk2, FF15/FF15 Mk2. Ortofon FF15/FF15 Mk2. CROSLEY NP4, EMPIRE S111, EMPIRE S190LT, EMPIRE S290LT, EMPIRE S333, EMPIRE S390L, FISHER 4157970300, FISHER ST09D, ION ITTUSB05, KENWOOD N69, KENWOOD P31, KENWOOD P43, OTTO ST09D, ST59U, ST868J, STW40J, W40, SANYO ST09D, SANYO STW17J, SANYO 4157970300, SHARP STY158, SONY CN230, SONY CN234, SONY CN234, SONY CN235, SONY CN251, SONY CN251. GENUINE STANTON N500s REPLACEMENT SPHERICAL STYLUS / NEEDLE NEW DJ TECHNICS 1210. Condition is New. Ortofon Pro Stylus. Stylus Type Spherical. Why people choose Bop DJ. Sale is for a one of. TheOrtofon Pro S retains the overall sonic properties of the Ortofon Pro (silver), but is equipped with a wider spherical diamond stylus which will minimize vinyl wear and simultaneously make it more durable. KAM BDX280, DDX580, DDX680, DDX880. Compatible with Stanton: D5107AL, D5107A, D5107AA, D5105AA. (These are not manufactured by Stanton (tm) ). DJ AUDIOTTB2010, TTD2500. Models 500A, 500AA, 500AL, 500AL Mk2, 500E, 505SK, 505SK2, 520SK. Stylus Tip Type.. Spherical 0.7 mil super high polish. Made in Japan. Inductance.. 400 mh nom. ION ITTUSB05, ION ITTUSB, ION ITTUSB10, ION ITTCD10, ION IPTUSB, ION TTUSB05, ION TTUSB, ION TTUSB10, ION PTUSB, ION LPDOCK, ION ITT03X, ION IDJ03, ION DJ02M. · PROFILE LP USB DELUXE. · ION PROFILE PRO. Suitable for Stanton: D5100AL, D5100AL Mk2, D5107AL, D5107AA. (These are not manufactured by Stanton (tm) ). DJ AUDIOTTB2010, TTD2500. 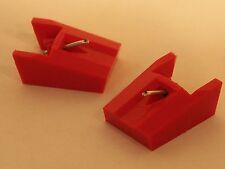 The price is for 2 (two) styli. ION AIRPLAY BLUETOOTH. STYLUS, NEEDLE FOR ION VINYL MOTION DELUXE. NumarkTTUSB, GROOVETOOL,TT1600, TT1600 mk2, TT1610, TT1650, TTUSB. 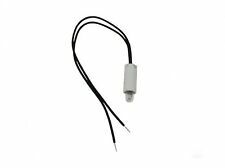 Stylus for Ministry of Sound MOS TT1000 Turntable CT01. Ministry of SoundCT01, CT010, TT100. Of course, I am very happy to confirm you are buying the correct item. Manufactured by: Stanton. Once you have received your item we are on hand to help in any way that we can and we regard our aftersales care to be of the utmost importance. And for world wide countries is from £0.99. STYLUS for ION PROFILE PRO, PROFILE, PROFILE PLUS, PROFILE LP USB DELUXE. CROSLEY NP4, EMPIRE S111, EMPIRE S190LT, EMPIRE S290LT, EMPIRE S333, EMPIRE S390L, FISHER 4157970300, FISHER ST09D, ION ITTUSB05, KENWOOD N69, KENWOOD P31, KENWOOD P43, OTTO ST09D, ST59U, ST868J, STW40J, W40, SANYO ST09D, SANYO STW17J, SANYO 4157970300, SHARP STY158, SONY CN230, SONY CN234, SONY CN234, SONY CN235, SONY CN251, SONY CN251. Suitable for Stanton: D5100AL, D5100AL Mk2, D5107AL, D5107AA. OVER TEN thousand sold ! ( even if the 500AL Mk 3 shape looks different, it will fit and work!). Genuine Ortofon product. With solid bass reproduction and extended highs, the Scratch is great for any style, providing an energetic, detailed sound. It is made of a fluorescent neon-red material, so it is easily visible under spotlights and luminous in ultraviolet light. Stylus for ION IPTUSB, IPT01, Contour LP, Contour USB, Numark PT01, Handytrax, POWERPLAY LP, QuickPlay Flash USB. ION Turntables. Suitable for ION. 1965 Ford Mustang 4 in 1 LP Classic. Archive LP. Classic LP. 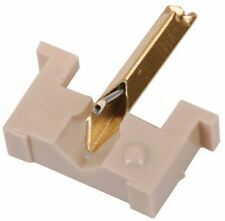 Numark CS-1RS / CS1RS Replacement Stylus DJ Turntable Needle Carl Cox Signature. 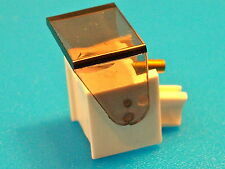 Technics Target Pop-Up Lamp Light - 1210 1200 Mk2 Mk3. Compatible Models Technics SL1200/SL1210 - Mk2, Mk3. Why people choose Bop DJ. BOP DJ Showrooms. Professional Installation Required Yes. Compatible Models Stanton ST150, STR8-150. 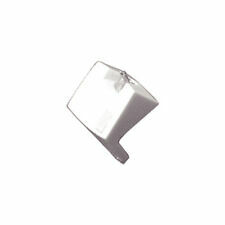 Stanton Stylus Target Light (Silver). ST SHP0322. Professional Installation Required No. Ortofon DJ S Blue Stylus. The ortofon DJ S stylus features a unique spherical cantilever design that gives an excellent rigid and robust performance while still allowing a certain amount of agility for scratching. Ortofon Concorde Pro S Blue Cart & Stylus!!! 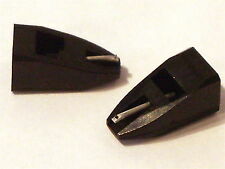 By Mark GTGroovetool RS stylus x 2 for numark usb turntables. 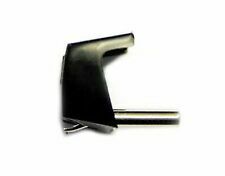 Reloop Stylus OM Black Dj Turntable Vinyl Record Replacement Needle. Unused stylus in new condition. It has just been taken out of the box to realize that it is not the right stylus model for my record player. Placed it back in the box. It was purchased new and sealed. No other issues whatsoever. Feel free to ask any questions. Extra photos can be provided on request as well. 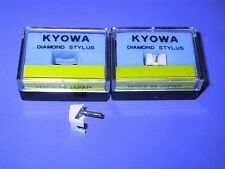 Replacement Diamond Stylus to fit Shure N75/6. 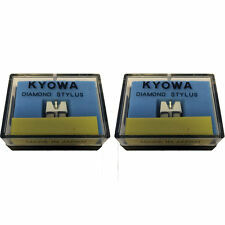 4.5 out of 5 stars - Replacement Diamond Stylus to fit Shure N75/6. 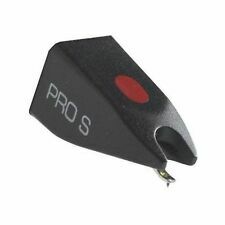 4 product ratings4 product ratings - Replacement Diamond Stylus to fit Shure N75/6. 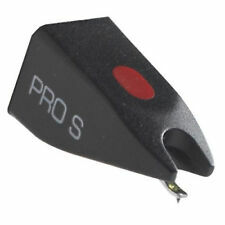 Ortofon Pro S Stylus (0021101). Condition is New in box. 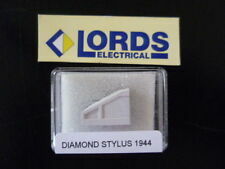 Dispatched with Royal Mail 2nd class signed for. The N500S stylus lets you refresh your Stanton 500. V5, or 520. Stanton N500S. Stylus Type -. Why people choose Bop DJ. Reloop Professional Vinyl DJ Cleaning Set. DJ hygiene from A to Z with Reloop's professional DJ Cleaning Set MK2. 1x Reloop carbon record brush. 1x Reloop anti-static cleaning cloth. 1x Reloop vinyl cleaning fluid 20 ml. Audio Technica ATN91. Stylus Type Conical. BOP DJ Showrooms. Ortofon Concorde Pro S Cart & Stylus Excellent Condition! !